Food4Macc Direct has a long mention in an article in Cheshire Life this month about the diversification of Ladderstile Farm by Peter and Rose Brocklehurst. 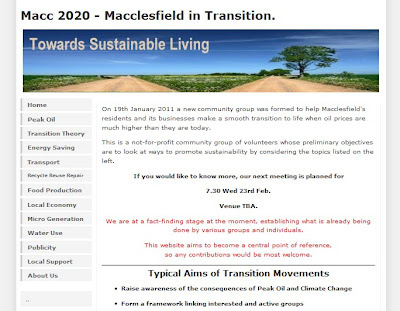 We agreed on the name Macc2020 for the Transition group, outlined our ambitions, and agreed to meet again on Wednesday 23rd February (venue tba). The group is now trying to establish what sustainability initiatives are already in place in Macclesfield and hoping to gather more interested people to help with the project.